Delta #EpicFail : L is for (Slow) Luggate Learner and T is for Turnip. Wed, 4 May 2016 at 12:55 a.m. Readers, I must admit defeat. I have I think, even if I say so myself, achieved some quite good lines in my quest to succinctly describe the various acts of stupidity committed by Delta at the Noble Subdivision. But recently, an associate (probably keen to cut me down to size !) sent a piece from Fairfax by Tim Hunter, now at the National Business Review, following the Auditor-General’s report in 2014. I saw immediately I had been bested by a better scribe : He memorably described the Delta management as having “commercial acuity about as sharp as a turnip” . That I could reach such cutting brevity !! Mysteriously, no threat of defamation was forthcoming to Mr Hunter…. 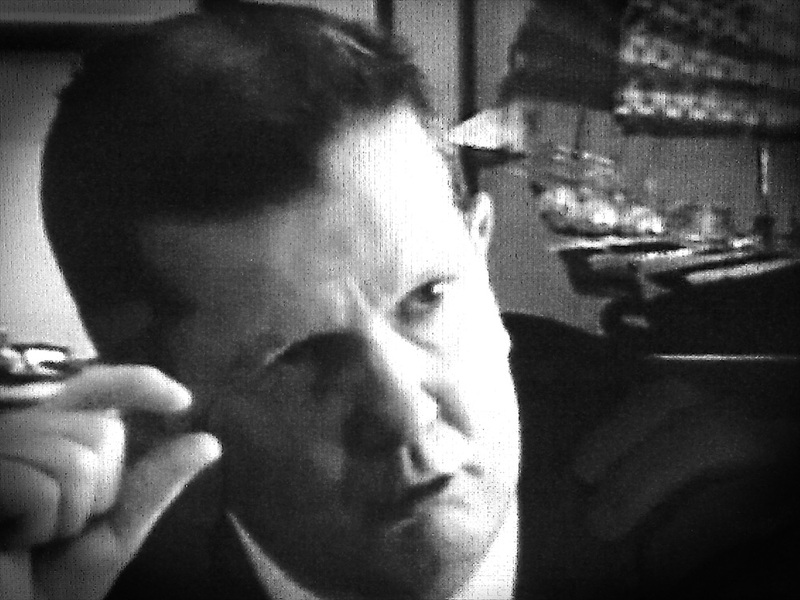 And as the coast is clear, to honour Mr Hunter, Delta management shall henceforth be referred to as the Delta Turnips…. Your correspondent was intrigued to read of the Lazarus like re-emergence of Luggate Park as a premium lifestyle subdivision destination of choice with prices for sections between $325,000 – $495,000. (Note, no offers are entertained – these are fixed prices say developers Willowridge !) If this goes according to plan, there appears to be a profit even larger than the reported Delta loss of $5.9M* for the enterprising Mr Allan Dippie, the latest owner of the ex Delta land. Now, your correspondent understands that Mr Dippie may not have as many university degrees as the Delta directors, or possibly not one at all. Mr Dippie does not breathe the same rarefied directorial air as the likes of Mr Stuart McLauchlan, Mr Denham Shale and other ….directors. However Mr Dippie does know his Central Otago subdivision market very well, and further knows that land development sometimes has to be viewed long term, the way a Japanese banker views the deadbeat property loans they made in Tokyo in the 1980s that are still underwater. That is, if you still own the asset you haven’t lost anything, and time will do its work and lift values. The critical thing is to have the courage of your initial convictions, and stay the course. Yes, yes, I know, the Japanese banks are still waiting, but no waiting is required, it seems, in Luggate. If Delta had an ounce of the foresight of someone like Mr Dippie, who has been both very successful, and also very patient at times, they would have held the land. A few facts about the land – the 42 entry level sections to be sold in the next stage will be worth around $6M, added to the $9.17M of the 22 premium sections, gives a total of $16.2M. There possibly could be further sections that would increase the value, but the glass is dark on this detail. After allowing for subdivision infrastructure and selling costs, the land that Delta sold for $1M three years ago would now realise them $9-10M. Yes readers, Delta could have made a genuine, non Aurora subsidised profit and got the civil work they wanted, at good prices. They could have even paid Mr Boult’s bank debt off, paid off the $1.935M bank loan, some interest to DCC treasury and the entire $5.5M advance and still have a bit left over. What possessed them to act like lemmings jumping off a financial cliff ? Two words … Denham Shale. Mr Shale was the alleged heavy hitter brought in to clean up the Dunedin City Holdings Ltd (DCHL) and Delta mess after the Larsen report in 2011, along with Mr Bill Baylis and others. He knew even less about property development than the likes of Mr Ray Polson. L for Learner developers indeed. As Mr Hunter exclaimed, turnip acuity was all around. Mr Shale was of the school that says when you have a mess, a clean out, not a clean up is needed…. A clean up keeps the items that have a chance of retaining value. Mr Shale told Mr Polson to write down the value of Luggate and get shot of it in April 2012. Mr Polson, being the invertebrate mild mannered accountant he is, then parroted that line to the Delta board a month later. The rest is well known. A bath. This is all in the Auditor-General’s report, in Section 6, for readers that doubt your correspondent. 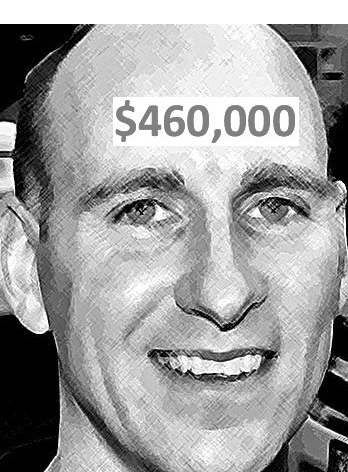 Mr Denham Shale’s legacy to the City of Dunedin is a $8-9M loss due to turnip advice (aka profoundly stupid advice) to sell land for a fraction of its cost and value. Any developer or person involved in land in Central Otago for any length of time has seen huge fluctuations in value, generally in a 7-year cycle… Your correspondent is one such person, who lays no claim to visions of the future, but who has had to hang tough for extended periods in Central Otago on various deals. All Delta had to do was talk nicely to DCC Treasury, to explain the $5.5M advance they gave Delta was a couple more years away – they had already waited for five years, who’s counting anyway ? Make an offer to Mr Boult of his 50% share of slightly more than the $1M they received (he had already asked Delta to buy him out having seen the Delta trough was empty), and start paying interest on the $1.935M bank loan. Not difficult. But required some vertebrates. 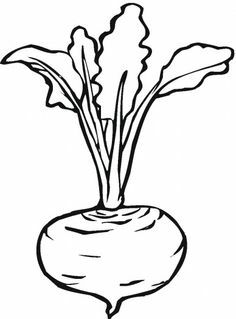 Mr McLauchlan, Mr Shale, Mr Cameron and the other directors, yes, they all displayed “commercial acuity about as sharp as a turnip”. –How I love that phrase ! This band of Delta Directors could not grasp what to Mr Dippie is as natural as breathing – that they stopped making land a long time ago, around the time of the flood and Noah’s Ark. That people want to live in Central Otago, so therefore the land price will rise, maybe not when you think, but given time rise it will. This, Mr Shale, Mr McLauchlan, and (2014 Young Director of the year) Mr Cameron is called, SUPPLY & DEMAND. Your elementary lack of foresight and myopia has cost the City of Dunedin millions. 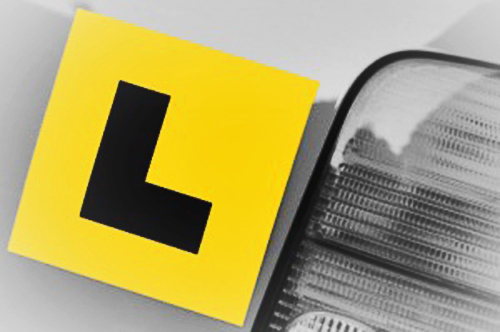 L is for Learner, T is for Turnip. Which one applies, readers ? █ For more, enter the terms *delta*, *luggate*, *jacks point*, *auditor-general* or *noble* in the search box at right. The jovial CD was driving towards Dunedin this morning…. gave me a wake-up call to foreshadow a new post pending for that old spectre : “L” for Luggate, or learner plates for Delta Directors and Mr Cameron. Yessss. While the Noble subdivision at Yaldhurst heads for the rocks, it appears DCC Ratepayers have been doubly triply shafted at Luggate. Anyway, won’t steal CD’s thunder. He is in the offing! Part of the big Luggate Park subdivision that lost Dunedin City Council-owned infrastructure company Delta $5.9million before tax in 2012 is being advertised for sale. The 22 sections in “Luggate Heights”, near Wanaka, range in price from $325,000 to $495,000, providing the owner, Willowridge Developments Ltd, with a potential gross return of $9,170,000. Similarly-sized sections at lower altitudes nearby were selling for as little as $128,000 five or six years ago. Willowridge, owned by Allan Dippie, bought the 50ha, 160-section Luggate Park development last year from Auckland development company Dentils Ltd, which was unsuccessful in attempts to sell the sections. Dentils had bought the development from Delta and Queenstown property developer Jim Boult. █ For more, enter the terms *delta*, *luggate*, *jacks point* and *auditor-general* in the search box at right. Why is there no law to rein in dodgy ratbag local body politicians? Former ARC Councillor Bill Burrill is not the first dodgy ratbag Councillor to trough from abuses of power to his own pecuniary advantage in recent years. 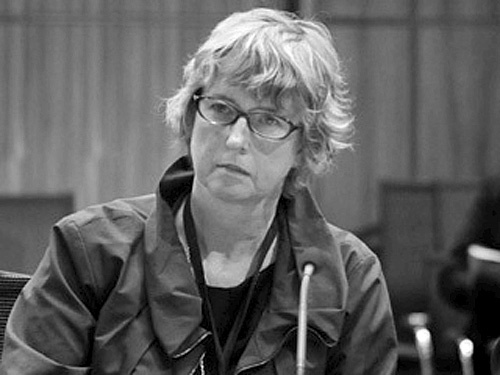 A few years back in 2009 Council Watch was calling for a number of Councillors from the Canterbury Regional Council to be prosecuted and sacked from their positions after an investigation by the Auditor General Lyn Provost found that four individuals had broken the law by acting in conflict with their official role. Back then those Canterbury Councillors failed to declare a conflict on interest that [led] to a financial benefit for themselves by participating in discussion and voting on proposals before Council. Under investigation the Auditor General’s office chose not to prosecute stating that whilst the Councillors should have withdrawn as a matter of principle – they had each received and shared legal advice that they could participate. And here in lies the problem. The Auditor General and Office of the Ombudsmen publish clear guidelines for Councillors and council staff but the reality is that the law is erroneously filled with holes that are exploited and there is precious little oversight of Local Government leading to the Auditor General loathing to bother and the Courts uninterested. The Board of Dunedin City Holdings Limited (DCHL) is pleased to report the financial result for the DCHL group for the year ending 30 June 2014. ● Profit after tax for the group was $12.5m. ● We have distributed to the Dunedin City Council (DCC) and its subsidiaries outside the DCHL group a total of $15.7m. This has fully met budget expectations and been achieved within the policy of not borrowing to pay dividends. ● Cash from operations remains strong at $30.1m. This was after paying the budgeted subvention payments of $7.9m to Dunedin Venues Limited. ● Total borrowings across the group have reduced by $4.7m to $621m. ● The financial result for the year reflects the hard work and focus of the staff and directors of the DCHL group of companies, which is much appreciated. Profit after tax for the group was $12.5m for the year compared to $20.5m last year. This is a solid return for the year. The main difference between the 2014 and 2013 profit resulted from the 2013 year including a write up of approximately $7m in the value of the City Forests investment. Aurora Energy Limited had a solid year, but profit was $1m less than last year due to the mild winter in 2013. Operating cashflow remained strong and was $4.1m higher than last year. 2014 also saw the company starting to increase investment in its asset base. Delta’s profit was at a similar level to last year ($4.4m this year vs $4.6m last year). It has completed exiting its water and civil construction operations. City Forests has had a strong year. Profit has reduced from $14.6m to $8.3m. This reduction in profit has been due to a lower write-up in value of the City Forests investment in the current year. The company paid a record dividend to Dunedin City Holdings Limited of $5.1m. Taieri Gorge Railway experienced a small loss for the financial year of $51,000 compared to a surplus of $39,000 achieved last year. Operating cashflow remained strong at $433,000 and was also higher than last year. Cash from operations has remained strong at $30.1m. Cashflow is the most critical measure as it is the basis for dividends and capital investment. The solid cash generation performance has also enabled the DCHL group to lower its net debt by $4.7m over the year. Progress has continued to be made in restructuring the governance of the group. A number of directors resigned during the year and we need to thank them for their services. We need to specifically record the service of two directors who resigned this year after serving as members of the group’s board of directors for a significant number of years. Both Ray Polson and Ross Liddell resigned as directors during the year and contributed in a significant way to the development of the DCHL group in a wide range of roles. It is with sadness that I must note the passing of Ross in July of this year. Given the normal operational challenges facing the members of the group the board of DCHL remain positive on the outlook for the group of companies. Contact Graham Crombie, DCHL Chair on 0274 363 882. The Dunedin City Holdings Ltd group of companies have delivered “solid” results, despite an $8 million drop in profits and another loss for the entity running Forsyth Barr Stadium, chairman Graham Crombie says. The city council’s Whistleblower policy, originally written by Athol Stephens (!! ), has recently been updated. The Dunedin City Council is moving to make it easier for whistle-blowers to speak out, but still has “a fair bit of work to do” to tighten other internal policies, senior managers say. The proposed change came as the council’s audit and risk subcommittee, meeting yesterday for just the second time, considered a schedule of 12 internal council policies it was now responsible for overseeing. The policies, ranging from risk management to staff travel and fraud prevention, were designed to promote good governance while protecting the organisation and its staff. Universally detested (except by a charming coterie of Wellington’s public servants, all living high off the pig’s back), Lyn Provost represents a fat salary-dollar value only. Fully complicit or was that comfortably incompetent, in not getting MULTIMILLION-DOLLAR RORTS and FRAUD stopped across the local authorities of New Zealand. She and her well-paid ‘academic’ staff ask: “Whatever is Crime?” —OHH! “New Zealand’s public sector boasted $240 billion worth of assets and managing them required continuous attention, she said.” (via ODT) …..What attention, steamed up spectacles??!! The Dunedin City Council’s move to tighten internal controls has been praised by the Office of the Auditor-general, even as the investigation into an alleged $1 million Citifleet fraud continues. The words of encouragement came from Auditor-general Lyn Provost as she addressed a meeting of the council’s new audit and risk subcommittee during a visit to Dunedin yesterday. But, despite the headlines and unanswered questions about why the alleged fraud was not detected, including by auditors, the word “Citifleet” was not uttered yesterday. The upgrade would cost DCC, as Aurora’s annual dividend – passed on to the council and used to offset rates – dropped by $2 million a year, to $7.5 million, from 2015-16. Delta had shed almost 150 workers and closed its entire civil construction arm since mid-2012. Dunedin City Council-owned lines company Aurora Energy says a planned $139.2 million investment in its network will create about 20 jobs and help ensure the lights stay on as growth picks up in Central Otago. The company’s five-year spending plan would result in upgrades and replacement of key pieces of ageing infrastructure across the network, which supplied 83,000 customers in Dunedin and Central Otago. […] The work would also generate spin-off benefits for another council-owned entity, infrastructure company Delta, which already managed Aurora’s network and shared the same management and directors. Aurora Energy chief executive Grady Cameron hopes to have put the challenges of the past few years behind him. Mr Cameron (39), also chief executive of Delta, has been named one of three finalists in the Young Executive of the Year category of the Deloitte Energy Excellence Awards. The winner will be announced in Auckland on August 13. 5.7.124 DCC’s debt level — who do you believe? For more, enter the terms *aurora*, *delta*, *dchl*, *dcc*, *auditnz* or *oag* in the search box at right. Typically, local government pays Audit New Zealand to audit and review annual financial statements. It’s a tame, tick-box sort of exercise. Audit NZ does a remarkably poor job and is certainly not in it to protect the Community from institutional or corporate misuse of public funds, or indeed from what amounts to perversion or defeat of the course of justice. Audit NZ is paid handsomely to not see failures of tansparency and non-accountability — such that the enlightened Mangawhai Ratepayers and Residents Association (MRRA) has had Audit NZ sacked from providing audit services to Kaipara District Council. Dunedin City Council (DCC) has ‘overseen’ the Auditor-General’s probe into property purchases at Luggate and Jacks Point by Delta Utility Services Ltd, which also involved the council’s holding company (DCHL). A more scandalous, politically slant and irresponsible report from a Government agency it would be difficult to imagine. Criminally, the OAG’s Delta report is what passes for ‘honest and comprehensive’ investigation of fraud and corruption in New Zealand… such that the main Delta complainant, Cr Lee Vandervis of Dunedin City, who holds evidence obtained from over 350 emails, was NOT interviewed by the Auditor-General. Nor was his evidence examined. The fact that for years Audit NZ has refrained from investigating or bringing attention to underhand dealings of the DCC and with respect to DCHL, Delta, Aurora, and Dunedin City Treasury Ltd (DCTL), to identify just some of the ‘group companies’ involved in financial mayhem with public funds, is fully SYMPTOMATIC. And now we have DCC — and DCHL (again) — in relationship with Dunedin Venues Management Ltd, tied directly to Otago Rugby Football Union (ORFU) and The Highlanders through shared staff and facilities at the Stadium, and the facilities at Logan Park. Meaning that DCC continues to squander millions and millions of dollars of public funds each year, yet Audit NZ is nowhere to be seen under ‘the Roof’. Don’t mention the black hole, Carisbrook. WHERE TO FROM HERE ??? In yesterday’s Business section of the Sunday Star-Times came inklings of hope that the tide of fraud and corruption created by local bodies and ‘their mates’ is up for possible scrutiny through a change of legislation. Greater public and professional awareness of fraud by local councils and their companies (as well as private trusts and other means used to launder public monies) is coming to bear. The following article goes on to cite other cases, one from last year mentions two men sentenced to prison and home detention following the payment of $849,000 in council funds for road and berm projects that were never completed. 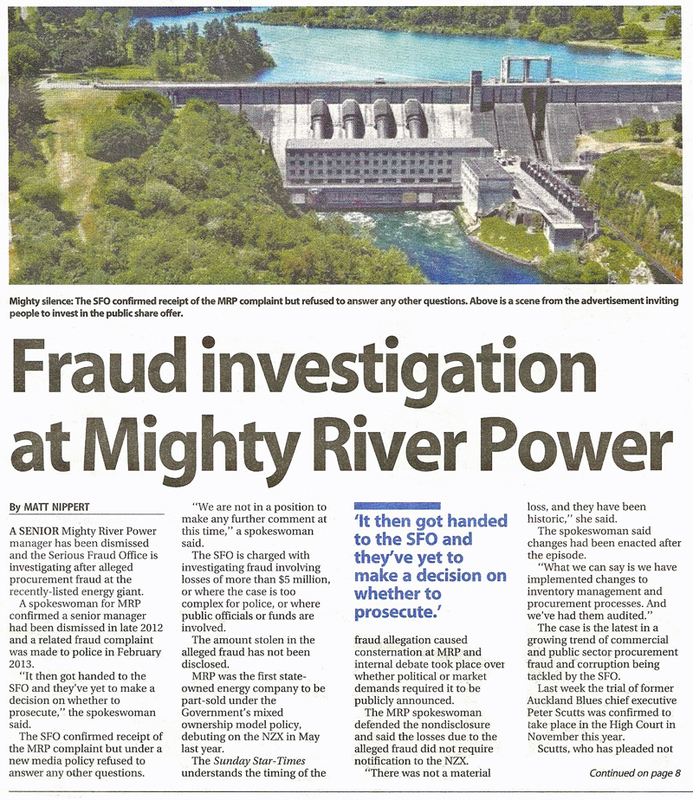 █ Think of the individuals you know by name who fail to be prudent and conservative with Dunedin Ratepayer and Resident monies, whose actions (deliberate or otherwise) have been fraudulent and corrupt. █ These entities and the individuals you know by name have been aided and abetted by Audit New Zealand, the Office of the Auditor-General, the Department of Internal Affairs, and indeed the Serious Fraud Office which doesn’t always show a clean pair of hands in assisting investigations by other Government agencies — if ‘supervised by’ mayors, local body politicians, local body employees, Members of Parliament, and Ministers of the Crown. Welcome to the underbelly of New Zealand local government and the parties it pleases. STEAL from the poor to FATTEN the rich, by any means. Backed by Central Government. *Links to articles not yet available at Stuff.co.nz. 19.3.14 ORFU: Black-tie dinner, theft or fraud? For more, enter the terms *carisbrook*, *cst*, *cull*, *cycle*, *dcc*, *delta*, *dia*, *draft annual plan*, *dvml*, *farry*, *orfu*, *nzru*, *pokie rort*, *pokies*, and *stadium* in the search box at right.